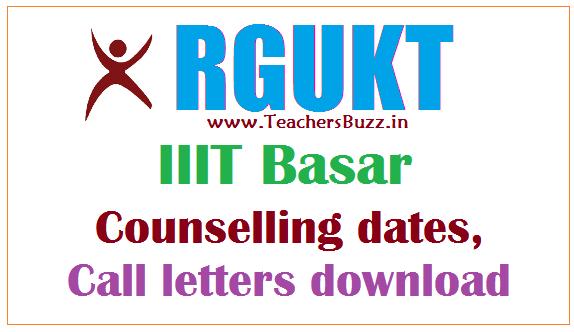 IIIT RGUKT 2018 Counselling,Certificate Verification, Call letters for shortlisted candidates , IIIT RGUKT 2018 Counseling dates, Call letters for Shortlisted list for RGUKT BTech Degree Admissions 2018 RGUKT IIIT Basar BTech Degree Admissions Counseling schedule, Call letter for shortlisted candidates for UG Admissions 2018-19 Rajiv Gandhi University of Knowledge Technologies, Basar for admission to first year of 6-year integrated B Tech Degree programme lection List/Shortlisted, RGUKT Telangana Integrated B.Tech Admissions provisional selection list 2018 |TS RGUKT IIIT Basar results.TS RGUKT Integrated B.Tech Program Admissions 2018 Notification selections, Telangana RGUKT IIT 6 year B.Tech degree admissions 2018 notification results.Counseling dates, Call letter for shortlisted candidates. Online Appilcations Process completed for Triple IT /IIIT Basar 2018-18 Admissions. The selection list will be available online of this month, Counseling will be held on June , and classes will start from July 1 get the complete details from here. Note: The claim of registered applicants whose GPA has been further improved in recounting / re-verification process of X class results, may be considered under waiting list upon submission of their improved grade sheet and certificates on or before 20th June 2018. The list of admission to the 2018-19 academic year at Basara Rural Engineering is to be released on Monday. ♦ At 3 pm, Vice Chancellor Ashok will release the merit List. ♦ Subsequently the list is placed on the RGUKT BASAR website. For selected students, information is provided by SMS and Letters. #Counseling will be held on June , and classes will start from July 1, according to Varsity officials.